Eva was super friendly and non-judgemental. She answered all my questions and explained everything. I felt she genuinely cared for me the moment I met her. Eva and staff were very professional and kind. Eva took the time to listen and understand the reason of my visit and thoroughly went through all the options available to me. The feeling of not being rushed has always been ahuge thing for me and it seems like many practices make you feel that way but not her. I felt very comfortable during my whole visit and it may be a weird thing to say since it’s a doctor’s office but it was enjoyable. 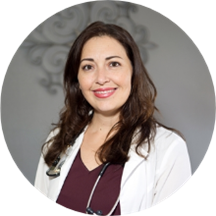 Eva Gonzalez, FNP has no appointments on Zocdoc right now.